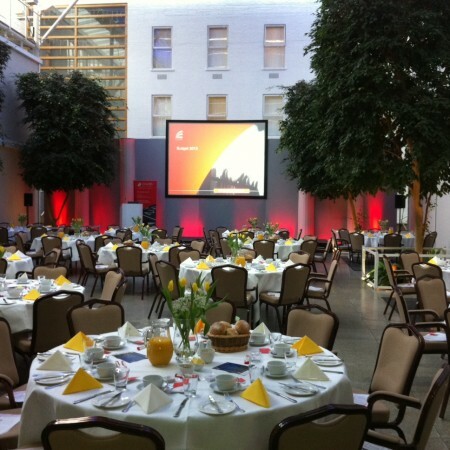 Wherstead Park is a conference and meeting venue in Ipswich, Suffolk. 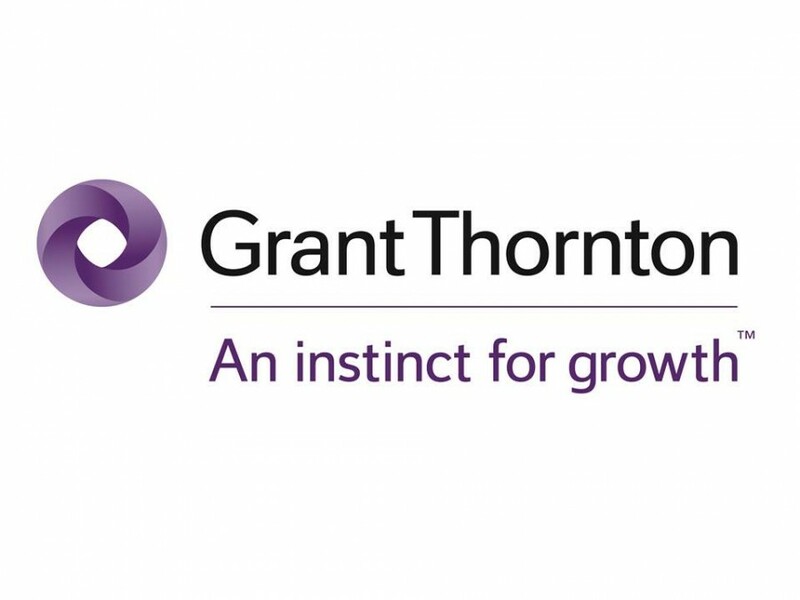 We’ve built a reputation for delivering events with precision, professionalism and event support at every stage, with our cutting-edge AV technology provided as standard. 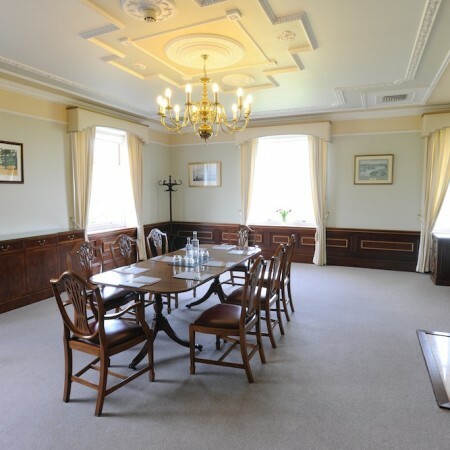 For interviews and assessment centres to strategy days and board meetings, Wherstead Park boasts 12 versatile Mansion meeting rooms. 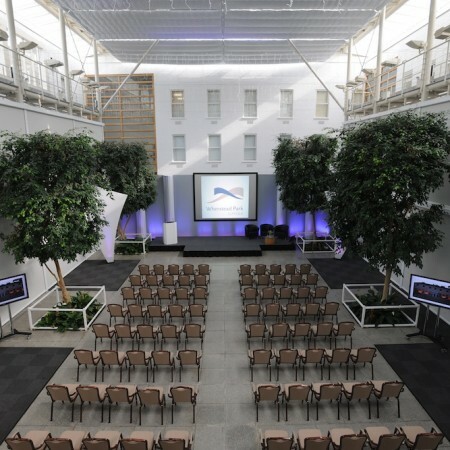 As an alternative, our Atrium seats up to 350 for larger conferences, with complete flexibility to use the adjoining Mansion for breakout rooms and workshops. 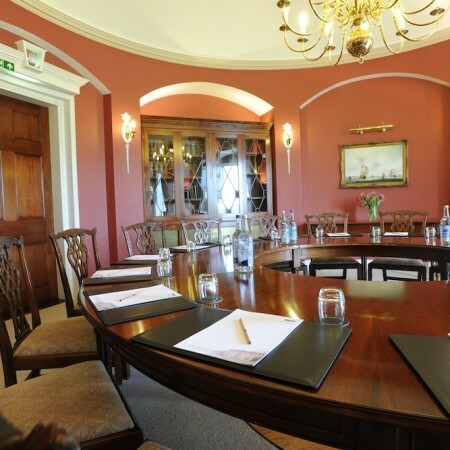 Wherstead Park offers a range of comprehensive, fully inclusive conference packages from half day to full day or our infamous ‘Big Breakfast’ package. Whatever your requirement, we have a solution that will help you budget for your next event. Please see below for full details of our ‘off the shelf’ packages; alternatively we would be happy to create something bespoke for your conference or meeting. 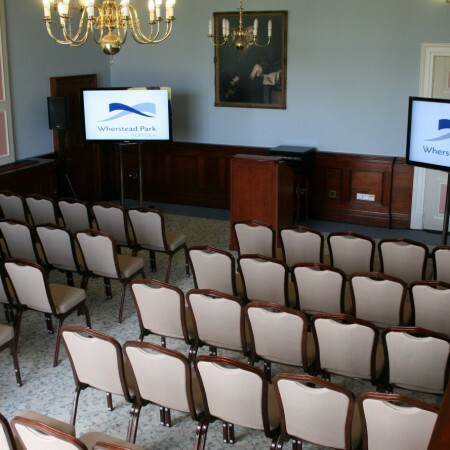 Whether you want a private meeting for 2 or a conference for 350, Wherstead Park has a space perfect for your needs. 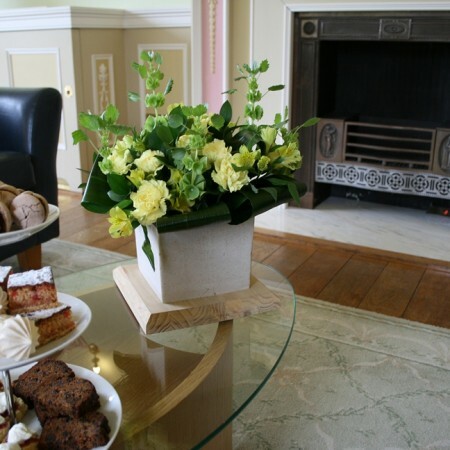 When you hire a room at Wherstead Park, AV is included. There’s no need to blow your budget on externally sourcing and installing quality AV because it’s already here, from 55” LED screens to a full stage set and backlit 16,000 lumen projector. Just outside Ipswich and a stone’s throw from the A14/A137 junction, Wherstead Park combines the peace of the beautiful Suffolk countryside with the functionality of being in a major town. One of the things we hear a lot is “the food was AMAZING!”. Catering to all tastes, dietary requirements and budgets, we believe food is central to your day, not peripheral. Find out more on our Food and Drink page. At Wherstead Park, we make sure someone is always on hand to ensure your day goes smoothly, and that you have as much support prior to the day as you need. 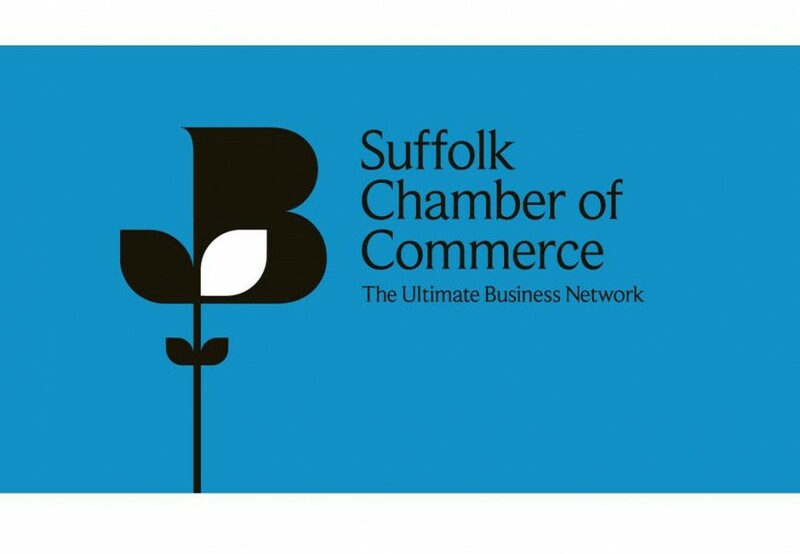 For a minimum of 100 delegates The Suffolk Big Breakfast includes everything you need to host a morning event. For a minimum of 30 delegates, the Essential Day Delegate Package provides a hearty lunch menu as well as everything you need to make your event a success. Including full meeting set-up and refreshments, with wine and delicious canapés for afterwards. For a minimum of 50 delegates The Breakfast Club Package includes everything you need to host a morning event in one of our Mansion rooms. The Orwell is a beautiful, light and airy meeting room on the second floor of the Mansion with views of its namesake. 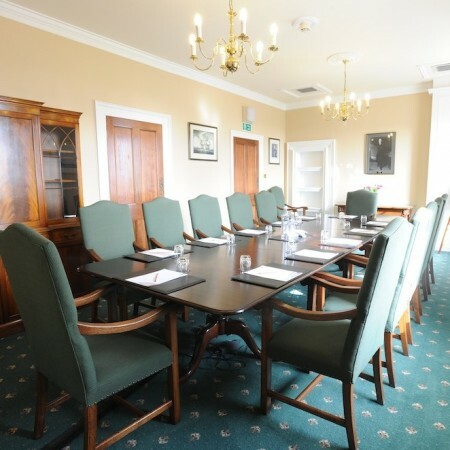 This room can typically seat 8 delegates board room style or up to 40 in a theatre style layout for a smaller conference or break-out session. 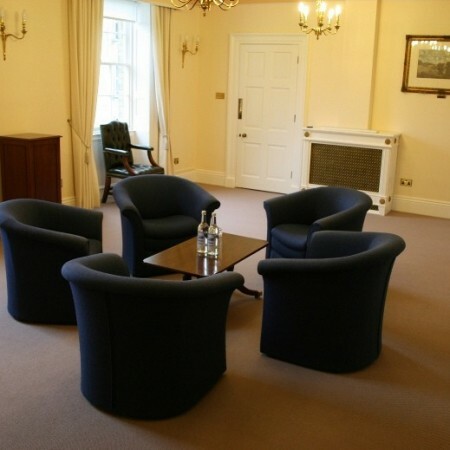 The adjoining Orwell Syndicate can host a meeting of up to 6 Board Room style. 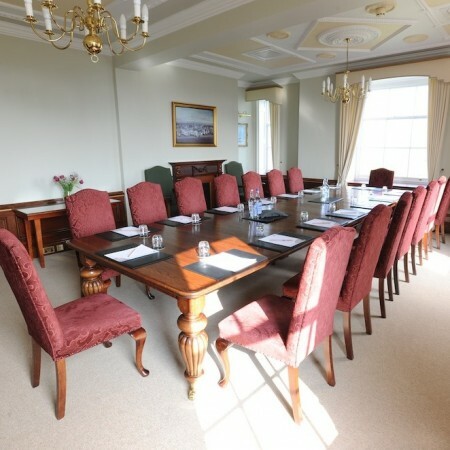 A light meeting room with stunning views of the grounds and surrounding countryside. This suite boasts burnished red upholstered chairs with a custom-made meeting table for a comfortable, yet luxurious environment. The Shotley is a fantastic self-contained space accomodating up to 16 people in a boardroom layout. The adjacent Shotley Syndicate allows you privacy for up to 4 people if required, or as an optional refreshment area. The Samford Suite forms the Mansion’s mezzanine level and is accessible by stairs, comprising the Samford Room, Samford Syndicate and adjoining room. 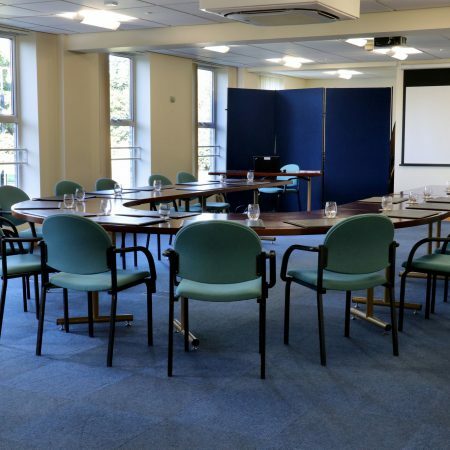 The Samford is a meeting room for up to 12 people, with dedicated AV for presentations, whilst the Samford Syndicate serves as a more intimate meeting space or waiting room, with space for up to 6 board room style. The George Canning is named after a visitor to Wherstead Park who served as Prime Minister. 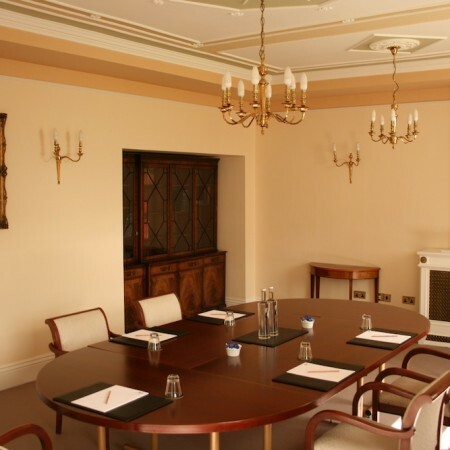 The meeting room is fittingly statesmanlike, and seating up to 14 board room style. 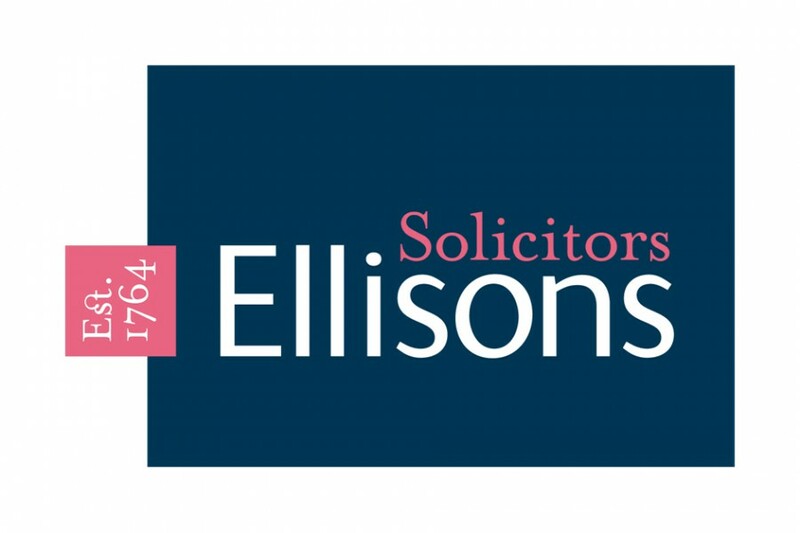 "Lesley – I wanted to pass on our thanks to you and your team for your excellent management of our event... Everyone was extremely impressed, whilst Anthea and I were just incredibly at ease knowing that you could sort anything that came your way"